What's Poppin' Tonight! 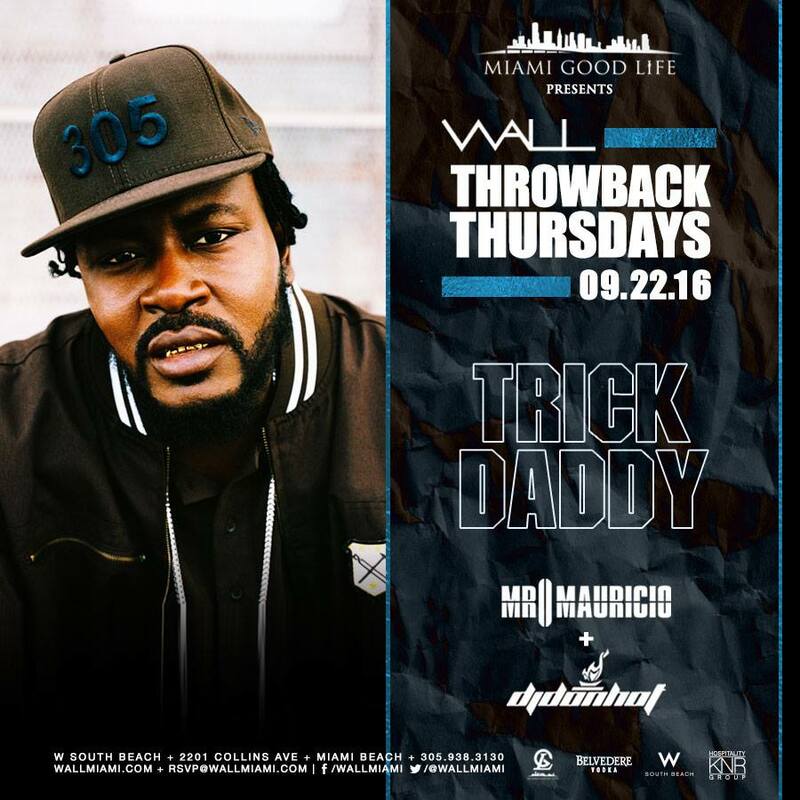 #WallThursdays presents #ThrowbackThursdays w/ TRICK DADDY LIVE at WALL Lounge ~ Phresh Hott New! Tonight! 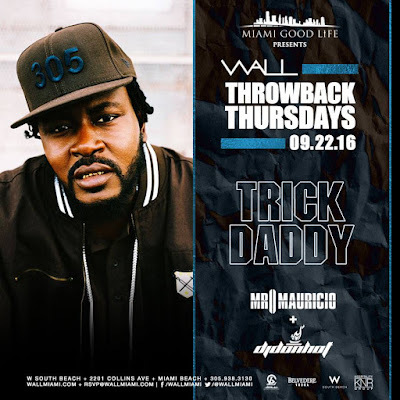 Miami Good Life presents Wall Thursdays “Quality over Quantity” at WALL Lounge. We're ready to take on the weekend at full speed! Amerikaa.... Tonight #ThrowbackThursdays presents Trick Daddy! Beats by: Mr Mauricio + Deejay DonHot | + More!